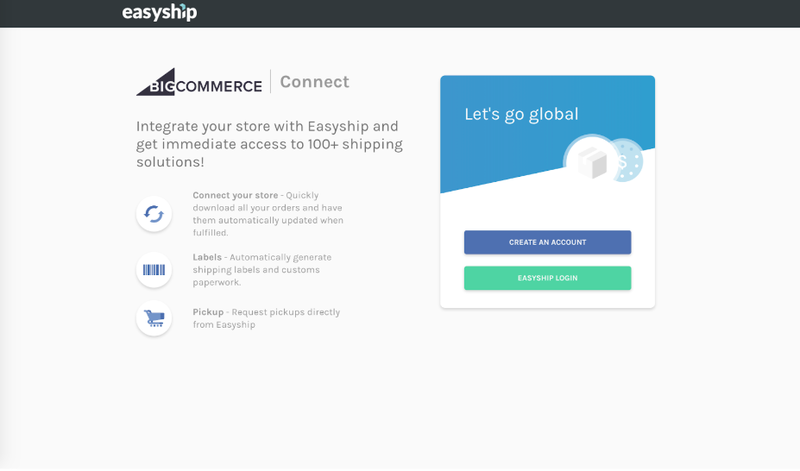 To successfully connect your BigCommerce store to our Easyship platform, your store must be on the Standard Plan or above. See the video below or scroll down for instructions and guidance via images. 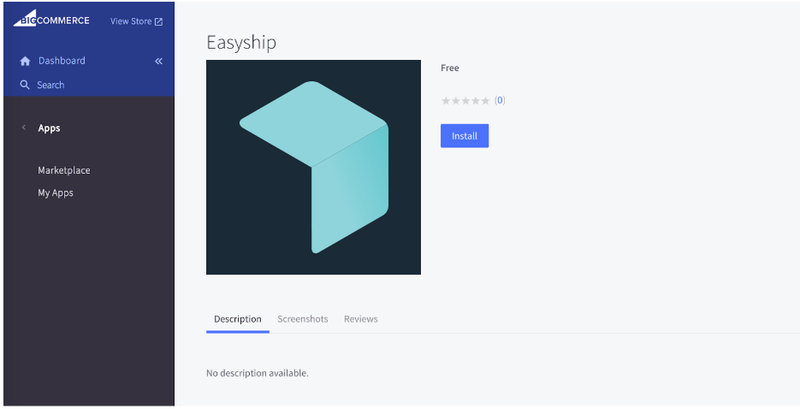 In the BigCommerce App Marketplace, look for “Easyship” and click on Install. 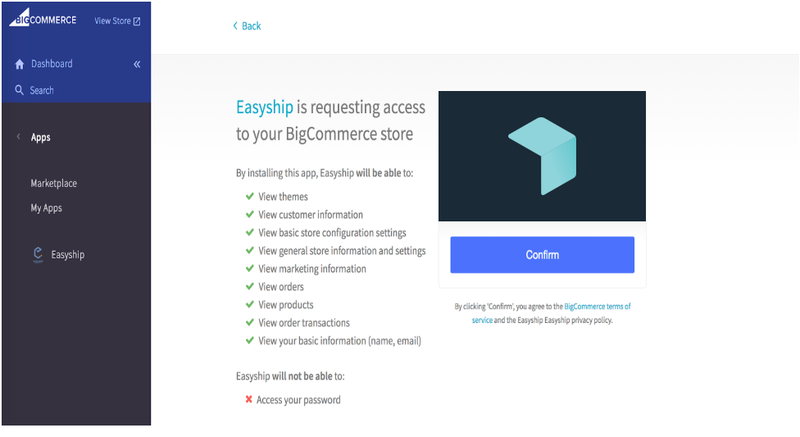 After clicking CONFIRM, you will be redirected to the Easyship site (shown below). 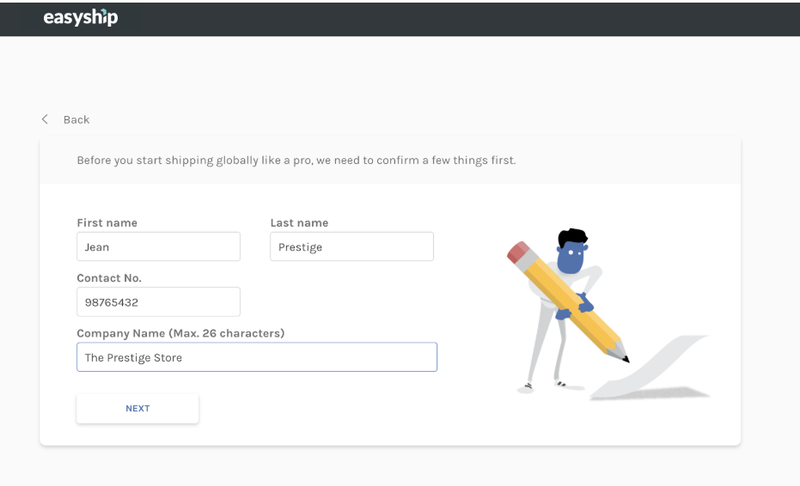 You can select Create An Account if you don't have an Easyship account, or Easyship Login if you have an existing account. If you need to create an account, select the Create An Account button. Fill in your email address, password, and where you're shipping from. After clicking the Create An Account button, you will be taken to the Company information page (shown below). Please fill in all fields and click Next. Now your account should be successfully linked! 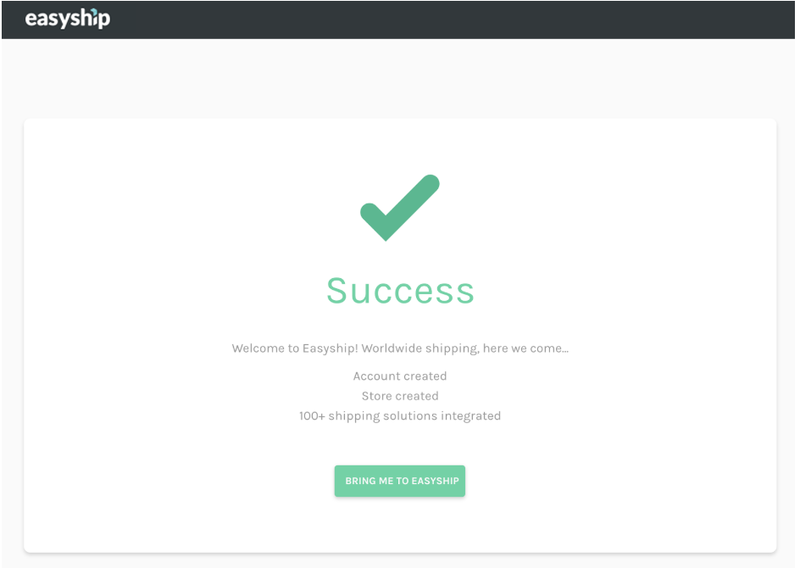 Click on the Bring Me to Easyship button to access the Easyship dashboard and start shipping! 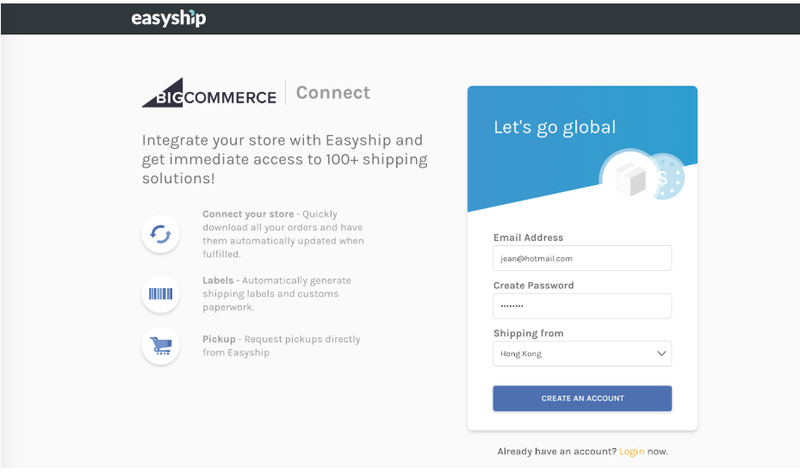 If you have an Easyship account already, all you need to do is fill in your email address and password. Click Login, and your store should be successfully linked!